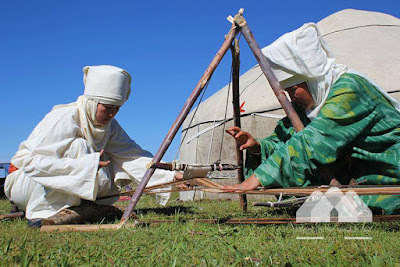 Frequent contributor to this website, Lilya Kas'yanova, provides an overview of the upcoming Jailoo Summer Yurt Camp, dedicated to the preservation of knowledge about the Kyrgyz nomadic way of life. In 2010, Kyrgyz artisan and business woman Aidai Asangulova, along with a group of enthusiasts, formed the Min Kyal Foundation. 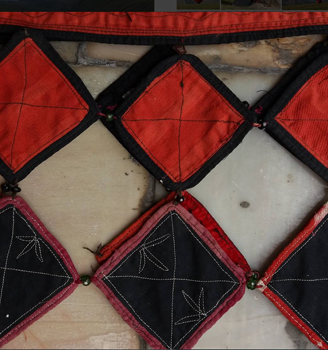 Since then, the foundation has implemented some remarkable projects aimed at reviving, supporting and promoting Kyrgyzstan's distinctive applied arts and crafts. Historically, Kyrgyz tribes were nomads. However, in the early 20th century, this way of life declined due to both political and economic changes. Nevertheless, in Kyrgyzstan, it is still possible to encounter semi-nomads, people who are "in motion" for at least half of the year. In 2011, Min Kiyal Foundation won a Christensen Fund grant for the execution of a multi-phased project "Kiyiz Düinö" ("The World of Felt"), which involved the staging of three International Felt Festivals in Kyrgyzstan. All three festivals were held in Kyzyl-Tul village, Issyk-Kul' province. The first focused on the deep-rooted traditions of seasonal nomadic migration and the second on the Kiz Uzatuu ritual. This ceremony provides insight into the significance of the family unit in Kyrgyz society. The final festival, completely organised by residents of Kyzyl-Tuu, highlighted local handicrafts, such as felt making, embroidery and patchwork. 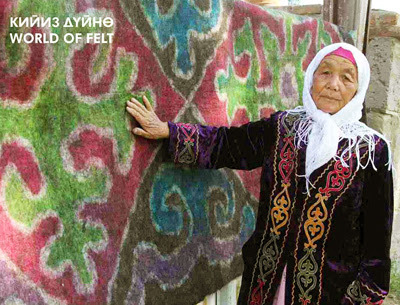 During all these festivals traditional activities were demonstrated: trade fairs where villagers and artisans sold locally-made products, yurt setting-up demonstrations, felt carpets with rolled-in patterns (ala-kiyiz), competitive exhibitions, national games, musical performances, cooking demonstrations, master classes and more. The other major project implemented by the Min Kiyal foundation was the Elechek project. 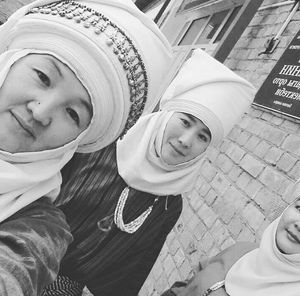 The unconventional headdress of Kyrgyz married women, wound like a turban, is known as elechek. The Min Kiyal Foundation will soon host a unique event: the Jailoo Summer Yurt Camp. Sponsored by the Christensen Fund, this project aims to preserve and propagate traditional knowledge about nomadic life. 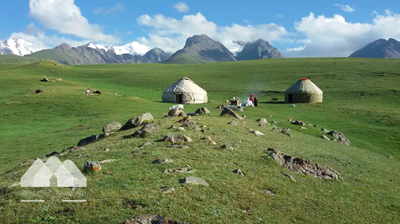 Within the framework of the project, a yurt camp will be set up on a picturesque jailoo, (high-altitude summer pastureland). It will operate from 15 June to 23 July 2016 in the Ton district of the Issyk-Kul’ Province. The event organizers, shortlisted participants and custodians of traditional knowledge will conduct training courses on traditional handicrafts, hold cooking master-classes on nomadic specialties, and demonstrate specific customs and traditions etc. The 15th of June is the official opening ceremony during which participants, following seasonal traditions, will migrate from the lowlands to one of the mountain pastures of the Ton district. Yurts will be set up and in this encampment all events, ceremonies and training programs will take place for the duration of the festival. Every day of the program is thematic. For instance, one day will be devoted to kuurma tea making. Kuurma is a hot drink made from milk, flour and melted butter. On another day, there will be a training course on how to smoke saba (a leather vessel for fermented mare’s milk storage and transportation) as well as fermented mare’s milk (kumiss) preparation. Another day will focus on weaving technology, setting up the loom, and so on. Manas Epic Poem Day – recitation of the epic poem accompanied by national music. An indispensable part of each traditional day is a photo shoot. Particular emphasis will be placed on the reconstruction and recreation of Kyrgyz national costumes. All interested parties are welcome to visit the summer yurt camp, take part in the activities and events and just plunge into the fascinating atmosphere of the nomadic life. There is a Facebook page for the event and you can follow on Instagram. Maybe you will even consider exploring this marvellous, little-known country? There is just one place available on the September 2016 tour.